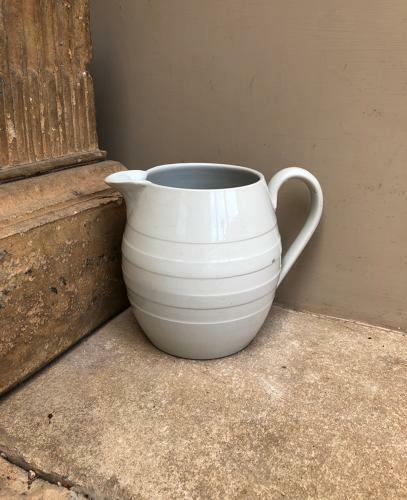 Lovely condition Late Victorian White Banded Dairy Milk Jug. Lovely fat barrel shape. One weeny glaze imperfection on right hand side half way down...very small.